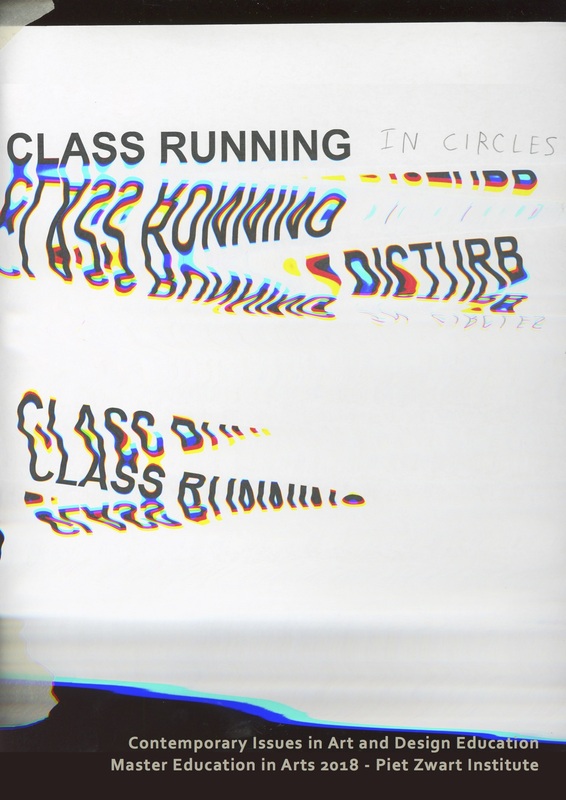 The reader Class Running in Circles was produced in the context of the thematic seminar Contemporary Issues in Art and Design Education, which took place from September until December 2018. 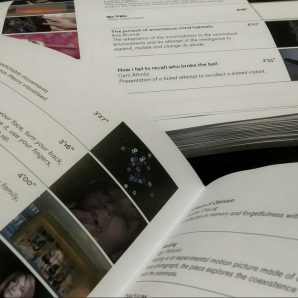 Each chapter of this reader is a response of the Master of Education in Arts students to the problematics put in the center during the seminar’s kick-off: a three-day visit to the 10th Berlin Biennale for Contemporary Art. We don’t need another hero. Starting from their unique contexts and positions as educators, artists or designers, thinkers and citizens, the students addressed the question: What are the mechanisms and languages of different or ‘other’ configurations of knowledge? And how can we practice them? The biennale inspired us to search answers to this question by disturbing our own habit of producing the meaning. Through insecurity in and disturbance of the conventional know-how, this publication is a students’ query for possible ways of teaching and for learning conditions that allow validation of multiple ‘others’ to be part of creating knowledge narratives. They made a conscious choice to publish it in a digital format so that it could be easily shared with others. We would like to express our gratitude to the people who shared with us their thoughts, practices and struggles and without whom this reader would not be possible: the director and curator of the Mediation of the 10th Berlin Biennale Mona Jas, a member of the Biennale’s curatorial team Thiago de Paula Souza, and artist Khadidiatou Bangoura. The Master Education in Arts welcomes enthusiastic and engaged educators/tutors in the field of secondary, vocational and higher art and design education, museum educators and artists and designers with an interest in pedagogical practices. We welcome cultural professionals working in- as well as outside an institutional environment (workshops, labs, et cetera), because we think that in these kind of collaborations and interdisciplinarities, the education of the future will take shape. 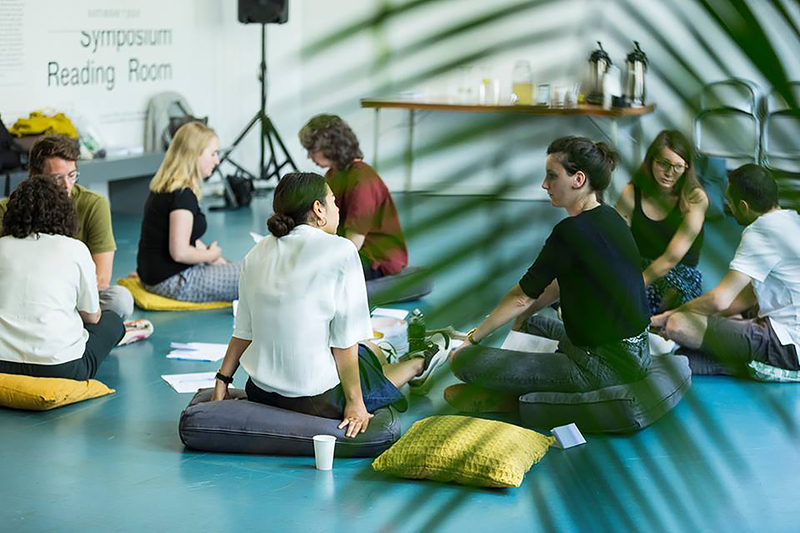 The relation between practice and theory is a central feature of the programme, as well as focusing on pivotal contemporary developments and issues in art/design education. We devote attention to pedagogy, cultural theory, digital cultures and transdisciplinarity (STEAM education), education philosophy, museum education, maker education, participatory/public practices, and so forth. In 2019-2020 we intend to particularly focus on maker education, interdisciplinarity (art-science-technology) in secondary education, collective participatory/public practices, as well as inclusivity in education. 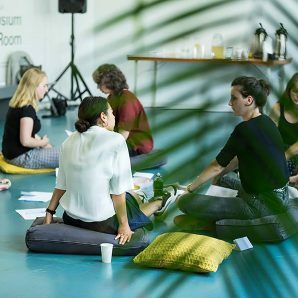 De Master Education in Arts staat open voor enthousiaste en geëngageerde docenten uit het middelbaar onderwijs, MBO, hoger kunst en designonderwijs en uit de museumeducatie en biedt ook ruimte aan kunstenaars en ontwerpers met een educatieve / experimentele praktijk. We besteden aandacht aan zowel de binnenschoolse educatie als de buitenschoolse educatie (labs, maker spaces), omdat we denken dat in deze interdisciplinariteit het onderwijs van de toekomst vorm zal krijgen. 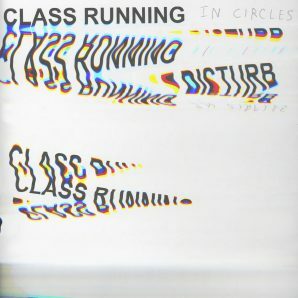 De relatie tussen theorie en praktijk staat centraal in ons programma en het verkennen van de belangrijkste thema’s en vraagstukken in het kunstonderwijs. 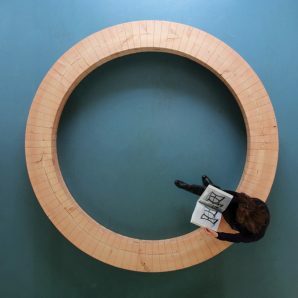 Daarbij besteden we aandacht aan pedagogiek, hedendaagse ontwikkelingen in kunst en design, culturele theorie, digitale cultuur en transdisciplinariteit (STEAM onderwijs), educatiefilosofie, maker education, museum educatie en participatieve kunst- en werkvormen. In 2019-2020 sporen we docenten uit het middelbaar onderwijs en MBO die geïnteresseerd zijn in maker education en de verbinding tussen kunst, wetenschap en technologie, aan om zich aan te melden. Information about how to apply can be found here. If you have any questions please contact our course coordinator: demsm@hr.nl. 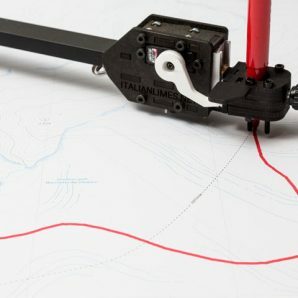 Mariabruna Fabrizi and Fosco Lucarelli taught at MIARD as invited design tutors in 2018, guiding students’ work on the topic of the spatialization of mental processes. Fabrizi and Lucarelli are curators of “Inner Space,” one of the five main exhibitions of the Lisbon Architecture Triennale 2019, and the series of architectural works that MIARD students produced under their guidance now constitute an essential contribution to the exhibition. The students’ work will be on display at MNAC – Museu do Chiado, throughout the Triennale in Lisbon, from October 2019 until January 2020. 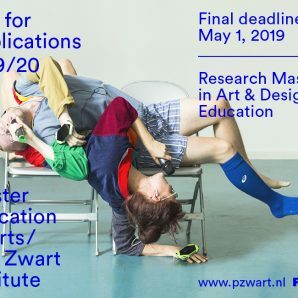 The Piet Zwart Institute admits candidates on a rolling basis from December 2018 to May 2019, until all positions in the cohorts are filled. May 1st is the final deadline for applications for the academic year 2019-2021 (for European and Dutch applicants only). The Piet Zwart Institute houses the international master programmes of the Willem de Kooning Academy at Hogeschool Rotterdam. 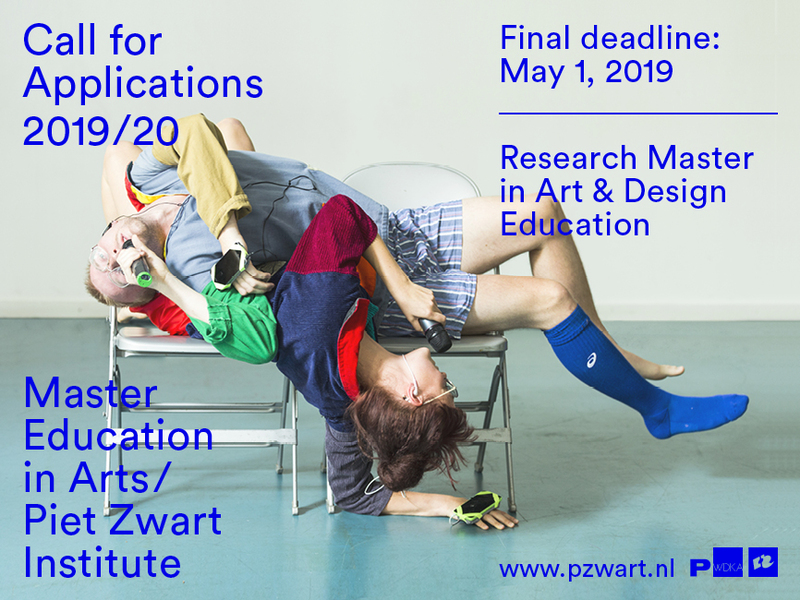 Named after the pioneering Dutch designer Piet Zwart, who worked experimentally across different media and contexts, our institute offers a rich combination of in-depth specialisation and interdisciplinary exchange in an intimate learning environment. The programmes of the Piet Zwart Institute are located in the heart of Rotterdam’s city centre. While students and faculty come from across the globe, bringing with them a variety of cultural influences, there are also strong connections to the city, its complex history and dynamic urban environment. We have four master programmes: Fine Art, Interior Architecture: Research + Design, Master Lens-Based Media, Master Experimental Publishing and the Master Education in Arts. All are founded on a shared interest in the complex social, cultural and political underpinnings of each discipline. Through a uniquely tailored curriculum combining collective learning, intensive individual tutorial support, practice-based research and theoretical inquiry, our programmes educate young professionals who have a critically reflective and imaginative approach to their work. Exhibitions, symposia, conferences and publications expand our research beyond the confines of the academy, while simultaneously valuing speculative spaces for reflection and knowledge building that is made possible through the rigorous academic framework of the Piet Zwart Institute. On March 25–27, first-year students of the MIARD program will travel to Milan to explore the architecture and design scene, both old and new. In the course of the three days, the students will visit some of the most exciting local practices working at the scale of the interior, such as Piovenefabi, Francesco Librizzi, and Studio Albori. They will also visit the recently opened 22nd Triennale, including a tour of Paola Antonelli’s acclaimed Broken Nature with Studio Folder, the exhibition designers. Finally, they will take a close look at the high period of Italian modernism through the work of Achille Castiglioni, BBPR, Asnago Vender and others. The trip is organised by Andrea Bagnato, lecturer in the Critical Studies module. 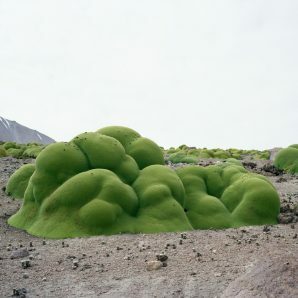 Image credit: Llareta #0308-2B31 (Up to 3,000 years old; Atacama Desert, Chile), from The Oldest Living Things in the World by Rachel Sussman. 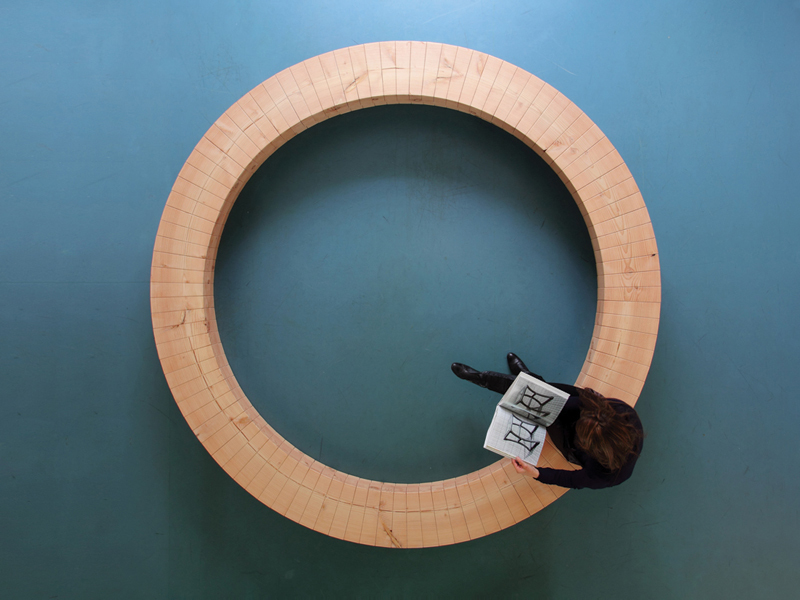 Part of Broken Nature: Design Takes on Human Survival. Studio Visits is an annual initiative at MIARD that is planned during the first year of study and is led by Noman Studio. 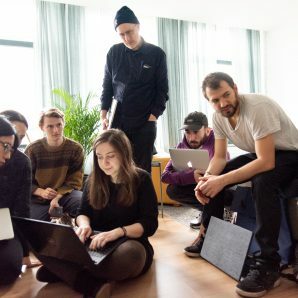 Students visit a diversity of studio practices to engage in conversations with the founders about their professional practice, artistic research and production. Studio Folder is an agency for visual research founded by Marco Ferrari and Elisa Pasqual in 2011 and based in Milan. 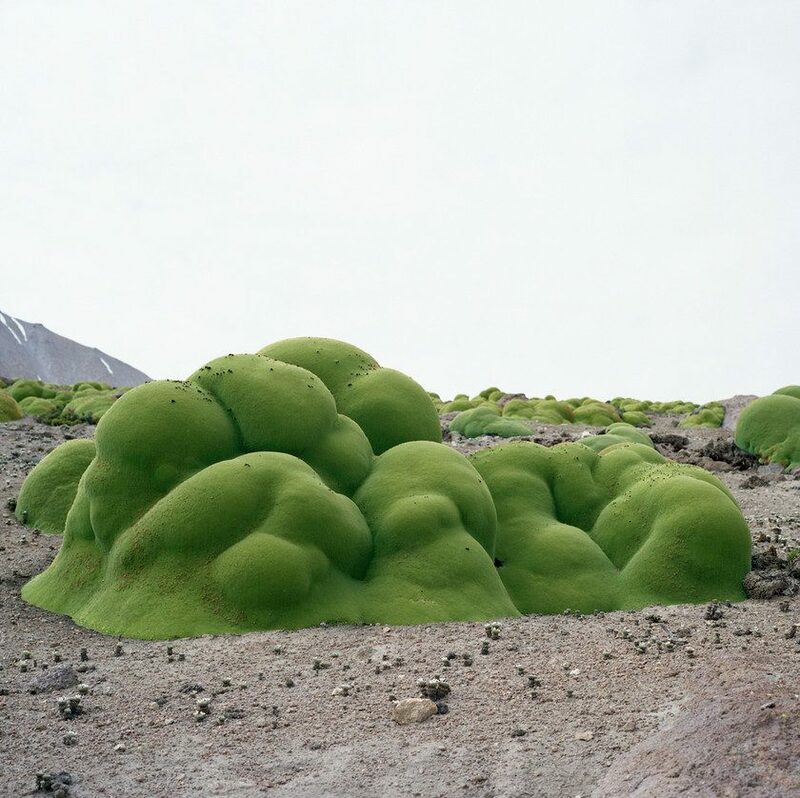 They worked with a number of prominent clients including Domus, the V&A Museum, and Olafur Eliasson; recently, they have been responsible for the exhibition design of Broken Nature at the XXII Triennale di Milano, curated by Paola Antonelli. 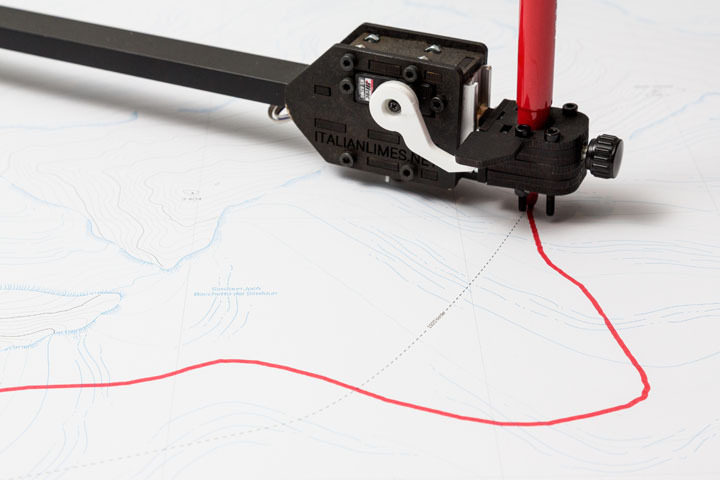 Among their self-initiated research projects are: Uncharted, on remote sensing and satellite images; Italian Limes, awarded with a special mention at the 2014 Venice Architecture Biennale; and the book A Moving Border: Alpine Cartographies of Climate Change, coauthored with Andrea Bagnato (Columbia/ZKM, 2019). On March 21, Marco and Elisa will be guest of the Research Methods module at MIARD. They will give an overview of their recent work, showing how the same design approach is materialized in installations, digital interfaces, and print media. This will be followed by a half-day workshop on the politics of the image and the construction of visual narratives. 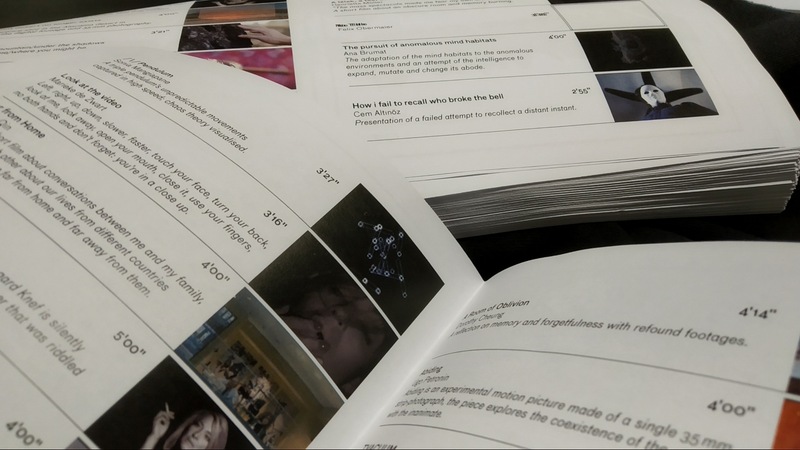 The best curated programme and the best work will be awarded by a student jury and a jury of Eye film professionals in a closing ceremony at 20.30. At 21.00 the VJ Academy will close the day with the programme “Spacechangers” including 3D projection mapping, VR and Vjing. From the smooth surface of chaos, to the purple hues of desert. From a day at a neighbourhood news stand, to a day of the troop’s return; a poem to a memory, to a dream to a failure to recall. A television breaks. A bell rings. A photograph becomes a moving image. What happens? Where will the dark pulses send us? Whose wistful whisper fills our skin with regret? As a small-scale program, MIARD operates from a point of view that education is adaptable to a variety of external forces and should resist institutional idleness. Practice is considered an expanding field as a means to train practitioners for a career in a changing world. Interior Architects are increasingly faced with a complex world of new realties, technologies, socio-political, environmental and economic challenges; thus, the practice of the designer needs to react, expand and shape future roles. The program is built around a self-directed, multi-discipline practitioner. Students develop their practice while synchronizing design-led research with critically reflective, theoretical and historical discourse. The curriculum is multi-disciplinary, designed with international staff and students from diverse backgrounds who share and combine their expertise and resources. While, the concept of “making public” contextualizes our learning environment directly within the professional field. This is executed within the curriculum’s triad structure of unified modules, Design Project, Critical Strategies, Multiple Media, that together shape thematic ‘spaces’ of design-led research throughout the two-year program. Archive: On this archive you can learn about the awards, scholarships, publications, exhibitions, projects and international collaborations of our students and alumni. Guests, Speakers & Studio Visits: Hilary Sample, Marina Otero Verzier, Aristide Antonas, Cooking Sections, Nick Axel, Shumi Bose, Anna Puigjaner, Erik Rietveld, Lois Weinthal, Aslı Çiçek, Alessandra Covini, Koehorst in t’veld, Gabriel Lester, Chris Kabel, Ethel Baraona Pohl, Random Studio, Tamar Shafrir, Riet Eeckhout, Simone C. Niquille, Tijs Gilde, Laura Herman, Federico Martelli, Niels Schrader, Tomas Saraceno, Point Supreme, Kuehn Malvezzi, Brenden Cromier, Sander Wassink, OS&OOS, Michiel van Iersel, Bastiaan de Nennie, Parasite 2.0, Penny Sparks, Koen Deprez.